I’ll neither forget the day, nor the frustration nor the discomfort within myself as I sat practicing the viola. The musical passage was awkward, the shift of positions was creating a hiccup in the phrase, and I had tried and failed with numerous different fingerings and bowings to find the technical path that would allow the musical idea to flow. Multiple practice sessions couldn’t seem to budge the obstacle and I was at a loss on how to proceed. As I sat there stewing, a recent bodywork session came to mind in which I was describing to my practitioner an image of myself as a 5-year old girl encased in a block of ice. The ice was situated in a field of daisies and I could feel the heart of that little girl longing to be playing, running, dancing in that field with a daisy crown on her head. 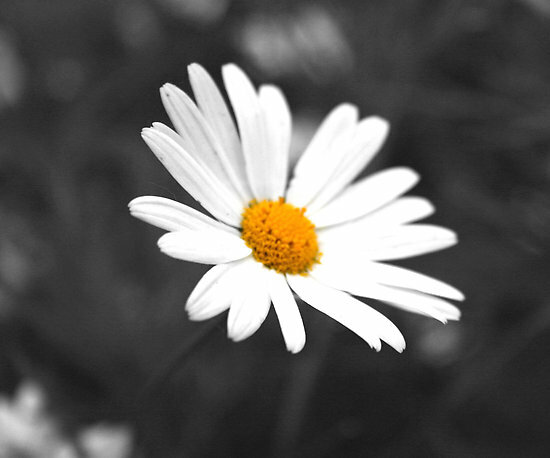 She was frozen and unable to move, although able to perceive the daisies, the sun and the field through the blur of the ice. As I continued practicing, a new thought came into my mind and it was a decidedly different approach. My internal censor protested, but my internal creative director argued: “Nothing else has worked, so what the heck, there is nothing to lose.” As I went over the passage again, I allowed my thinking mind to relax and began to visualize the warm sun beaming down on the block of ice causing it to sweat and begin to melt. I returned my focus to the sheet music in front of me while opening to a peripheral focus in the corner of my mind of that sunny field, the warm sun, and the melting ice. Over and over the passage I went, minutes ticked by, repetitions piled on top of one another, and water trickled off the ice. Achingly slowly did the top of the girl’s head begin to emerge. My body itched, my back began to tire, the musical passage still caught in the vice grip of --what? Was it frozen emotions, or an icy shield hiding my vulnerability, my deficiencies, and lack of confidence? Where did the music stop and me, the musician, start? What was vibrating that day? Was my denser vibration attempting to recalibrate to the elevated vibration of the musical composition? Where was the path? How to connect? Still the practice continued, still the sun was shining; still the ice was receding from the girl’s form. Back and forth my attention flew from the musical process to the melting ice. Impatience threatened to end my practice session and my resolve weakened as yet again I began to slip into an attitude of defeat. I don’t recall the shift; somehow I woke up to being in a timeless space that replaced the excruciating effort where everything seemed to float. Achievement didn’t seem to matter anymore; each drop of melting ice became soothing, and the icy paralysis of the girl inconsequential. I surrendered into the sun and with a jolt the girl’s torso became free and she was able to wiggle out of her icy prison and tumble into the field of daisies, laughing, dancing, flexible and free. At that moment the musical passage snapped into place, never to be lost again. In fact I couldn’t even seem to recall what the technical issue had been. What had happened-- emotional healing or musical breakthrough? Had my personal vibration been recalibrated to that of the musical composition, which itself had reflected more perfectly the vibration of cosmic harmony? How to recreate this process for the next musical conundrum and could I teach it to my music students or was it a fleeting moment of grace, too ethereal to be called up at will? I have reflected on this moment over time, shared it with students, and come to believe that the power of music reaches further than I can imagine. Grateful, I am, for its healing capacity, and grateful, I am, for its beauty and power.